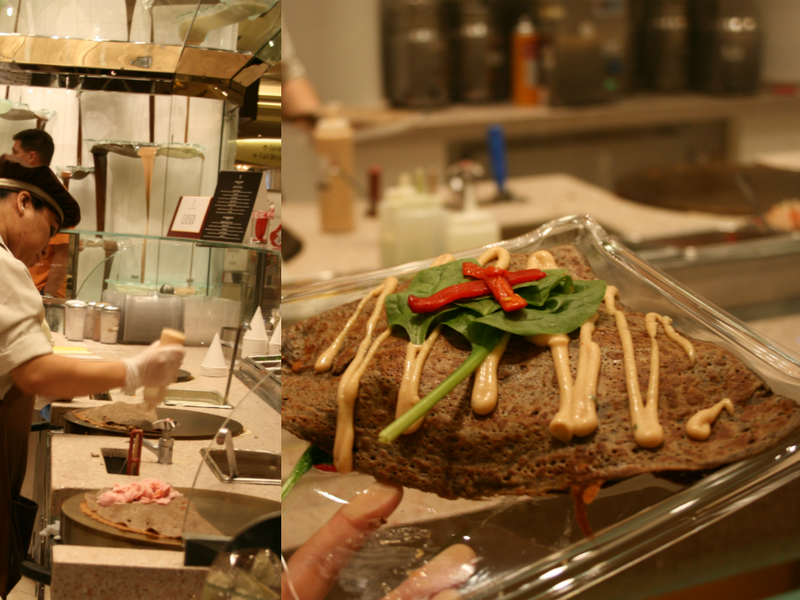 A quick snack at Jean Philippe Patisserie just before my buds were to head into the Cirque Du Soleil show at Bellagio. Hardly hungry, we went for something to share just to fill up a bit of time. 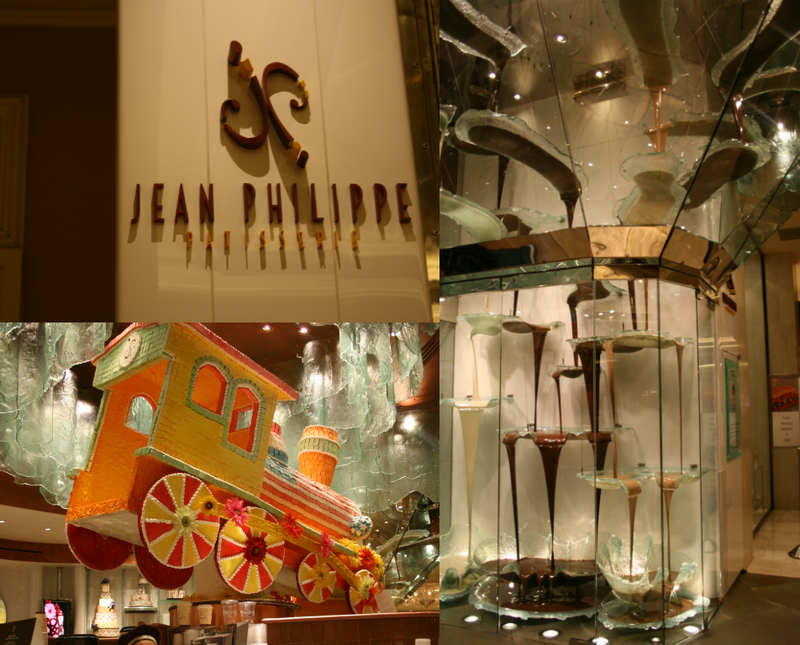 Jean Philippe Patisserie is a wonderfully presented patisserie, a perfect spot to drop by for a quick coffee or sweet. Home to the World’s Largest Chocolate Fountain – a remarkable sight to witness. There was also an oversized train just above the working-away chefs, made completely of Marshmallows – it suited the whole, magical theme very well. For the price, they sure slack on the fillings. It was alright, definitely should have gone with a pastry. Tasty, but not worth the $10 for a regular size. Being in a premium hotel, you’d only expect to pay a premium price. Brace yourselves, folks. Strong cravings for Asian Cuisine, our best (and closest) bet was Noodles. I loved the design of the restaurant-front, the bundled pile of literally, noodles, hanging above the entrance. Upon entering, you are surrounded by everything of an Asian sort – Bamboo, Lanterns for lighting, Asian Rugs and quite a few statues. $20 + tax for Noodles and Soup, this better be good! But, luckily, indeed – it was! The flavours in the Mandarin Beef Stew were great, meat were the perfect cuts and nicely stewed. Definitely hit the spot. The Noodle Soup on the other hand was a tad too plain – needed more bazazz, and a much better cooked Rice Noodle to match. The Congee was the only one that I found to be absolutely worth it. A decent amount and wonderfully flavoured – great amount of Century Egg treats in here! The feels were right here. Plenty of seats for a breezy, covered patio on the outside and a pub-like feel on the in. 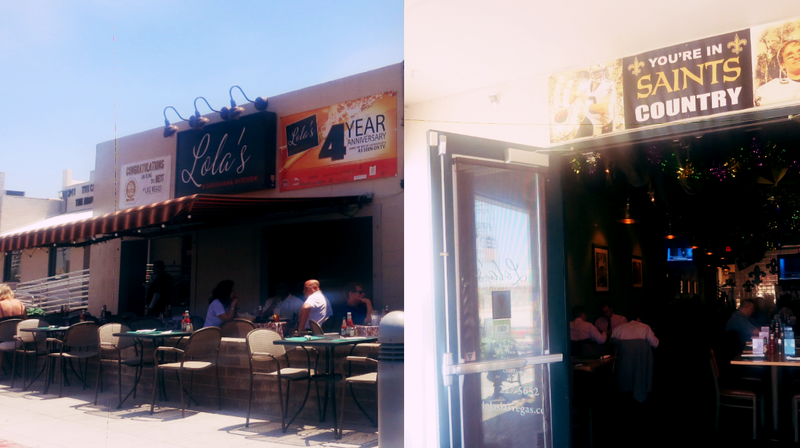 Lola’s is tough to locate without asking for directions – with (the help of) Google Maps, we ended up a 7 minute walk up and under a bridge to to resto, only to find parking right by it. We were warmly welcomed and chose to have a seat for four on the patio. 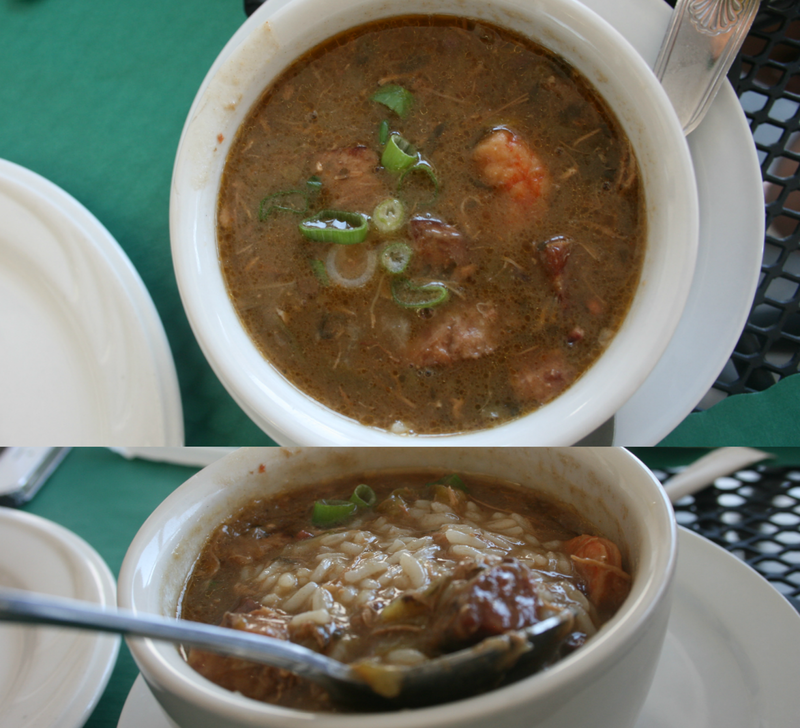 My first time trying Gumbo! Now I will never have to again – arriving piping hot, this was okay – I expected more flavours, and many more pieces of meat. There was also Rice in here which was a pleasant surprise. A ‘Family Favourite’ on the menu, this had a delightful homie feel. The amount of Rice was just right, and the pieces of Kielbasa was a great salty mix by side the Coleslaw and Toasted French Bread. This was by far my girlfriend’s favourite meal in the whole trip so far. No additional flavours or surprises in this one. 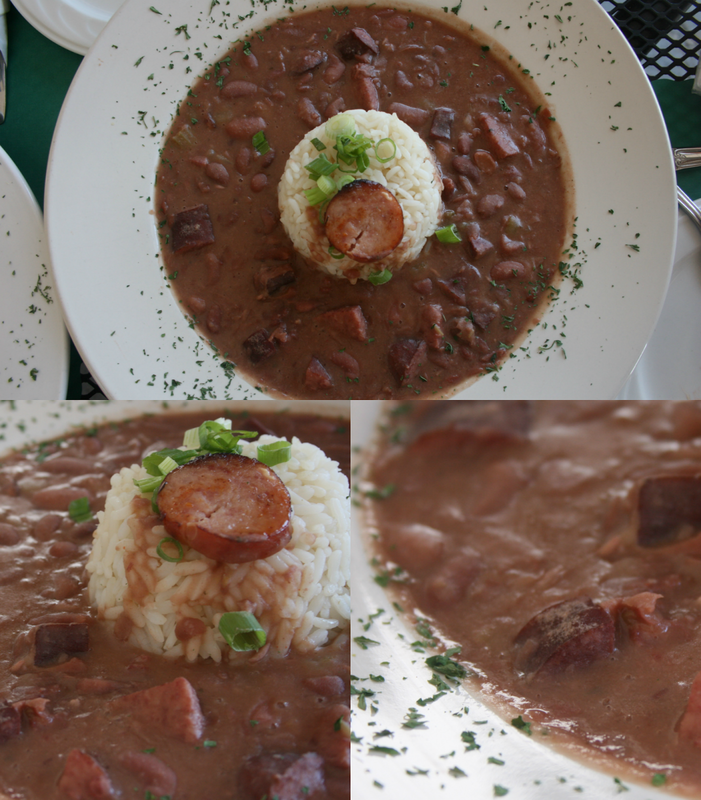 I think this would have been better (and juicier) served with the Blackened Shrimp option instead. The Pasta was perfectly cooked, and the amount of Fettuccine Sauce was certainly generous! I already knew that this was going to be a pure winner the moment that I laid my eyes upon it in the menu. Deep-Fried Soft Shelled Crab… How can you possibly go wrong? 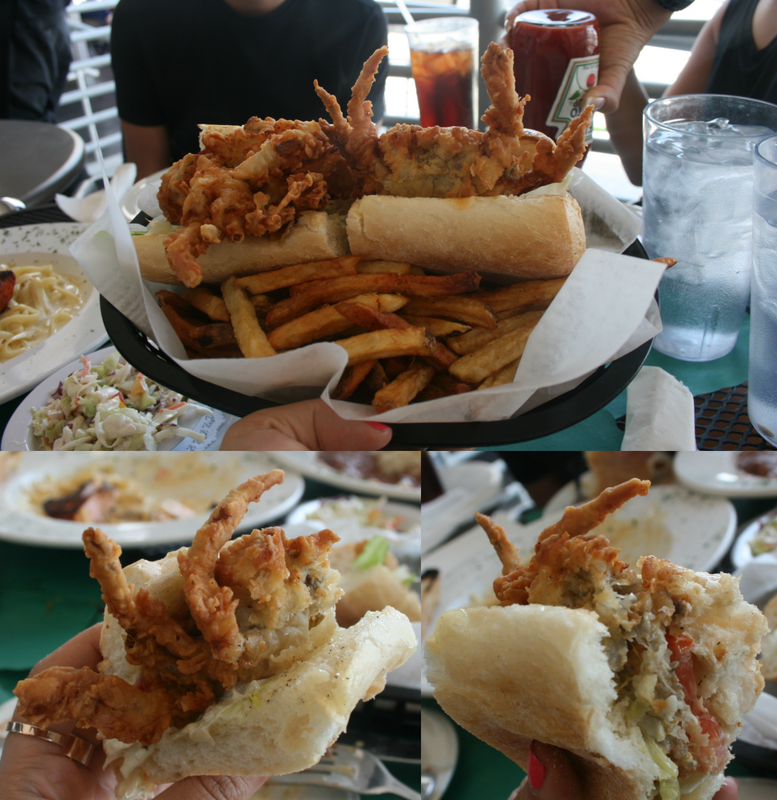 Especially laid across a Soft Po’Boy Bun, this was a winner! A smiggen of Mayonnaise was all it needed. Guy Fieri, the only way I know him is the host of Diners, Drive-ins and Dives… and the guy who needs to loose the Justin Timberlake hair. 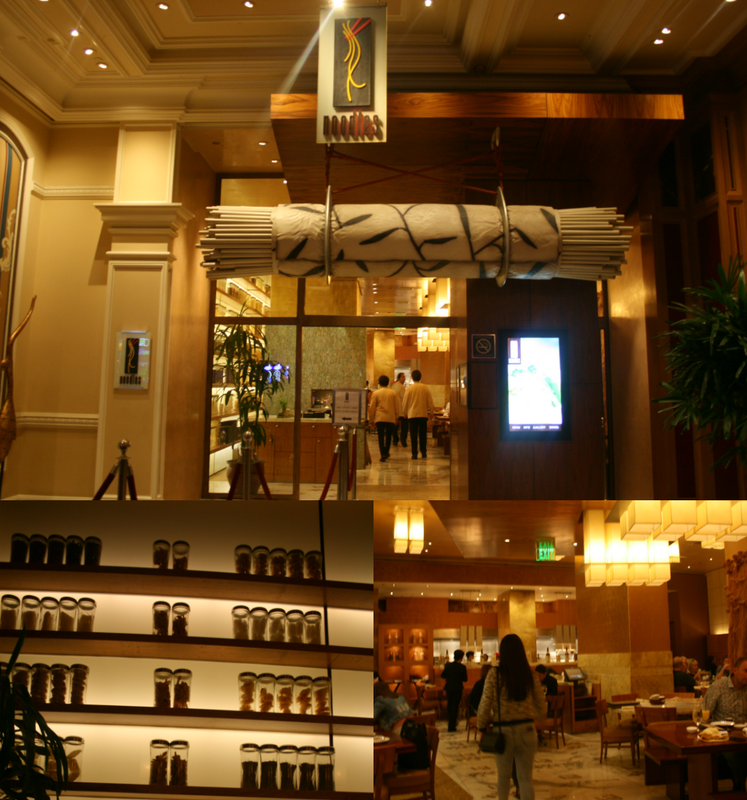 Guy Fieri’s Vegas Kitchen & Bar is situated right at the entry of The Quad, one of many hotels right across the hotel we were at – The Mirage. But a damn 45-minute wait… This has better be worth it! The Parmegeddon Wings took form of Lollipops. I was honestly expecting an explosion of juicy flavours, this was truly disappointing. What was going on? Why were the only winners of the whole night – the (unnoted) Pickled Jalepenos? 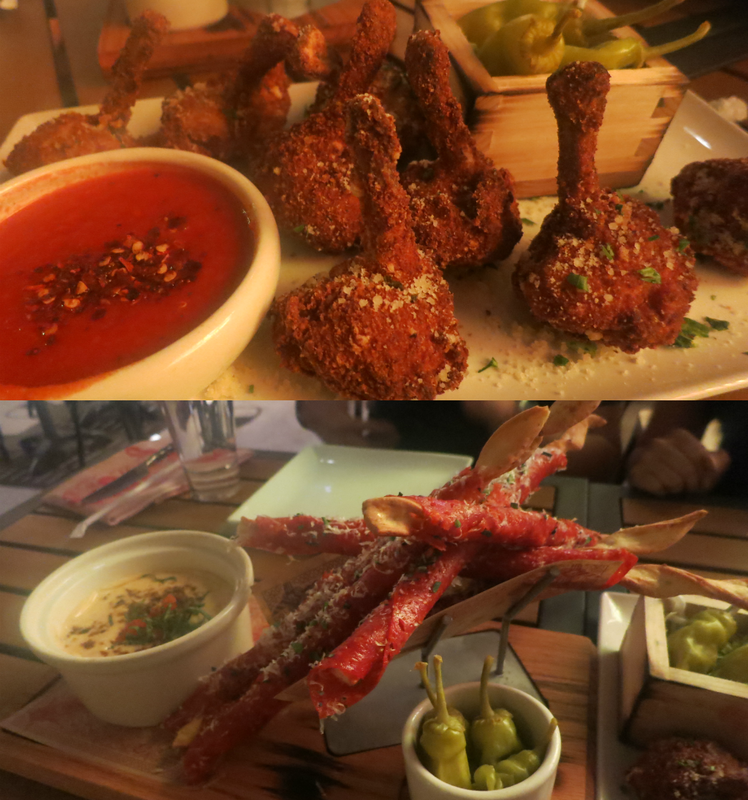 The Guy-Italian Fondue Dippers were also another disappointment to add to the list. My biggest peeve is when I cannot depict the description of the menu items – I did not depict and Sausage or Bruschetta in this, it did not go well together at all. 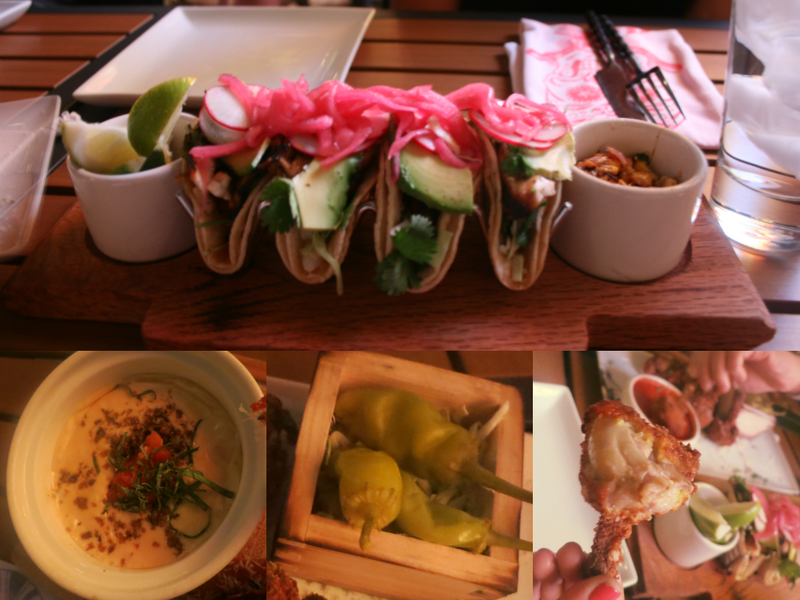 Fish Tacos are the easiest things to successfully make, ever. Scarce in the amounts of Tilapia, and interesting combination – but it did nothing for either of us. 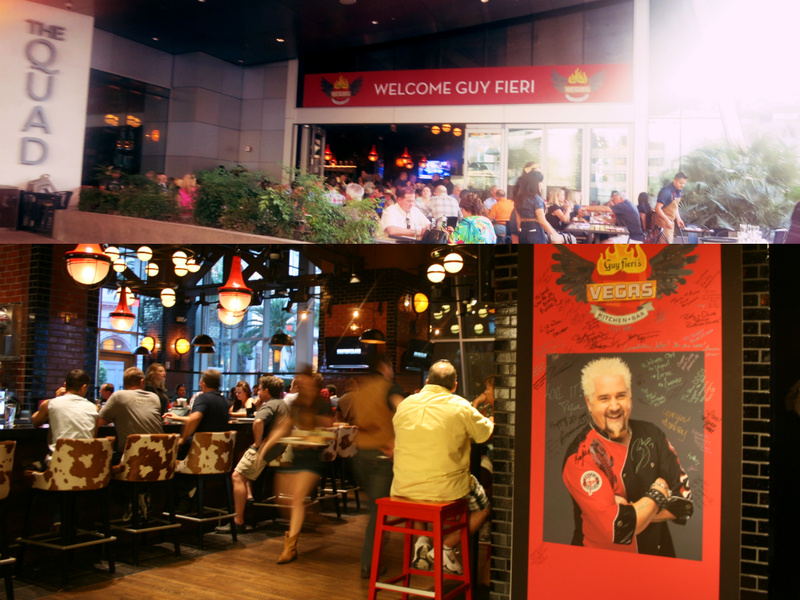 I don’t understand how one can mess it up – but Guy Fieri sure did. 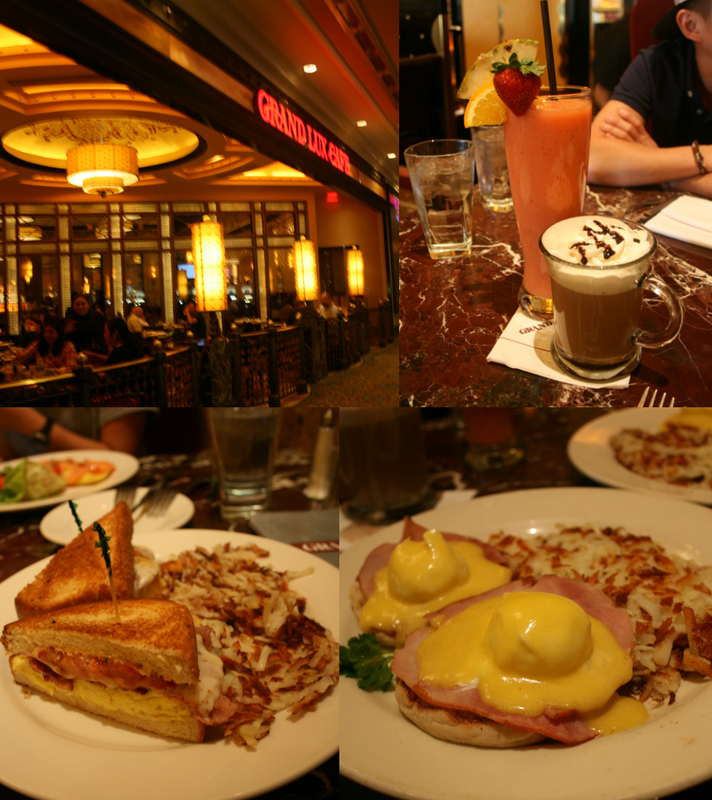 A quick breakfast at Grand Lux Cafe in The Venetian/Palazzo before our 5-hour roadtrip to L.A. I was thrilled to be leaving this place (and it’s mediocre feeds). This breakfast was very satisfying and tasty. I would definitely recommend it! Don’t forget to (instead) get a seat on the patio. 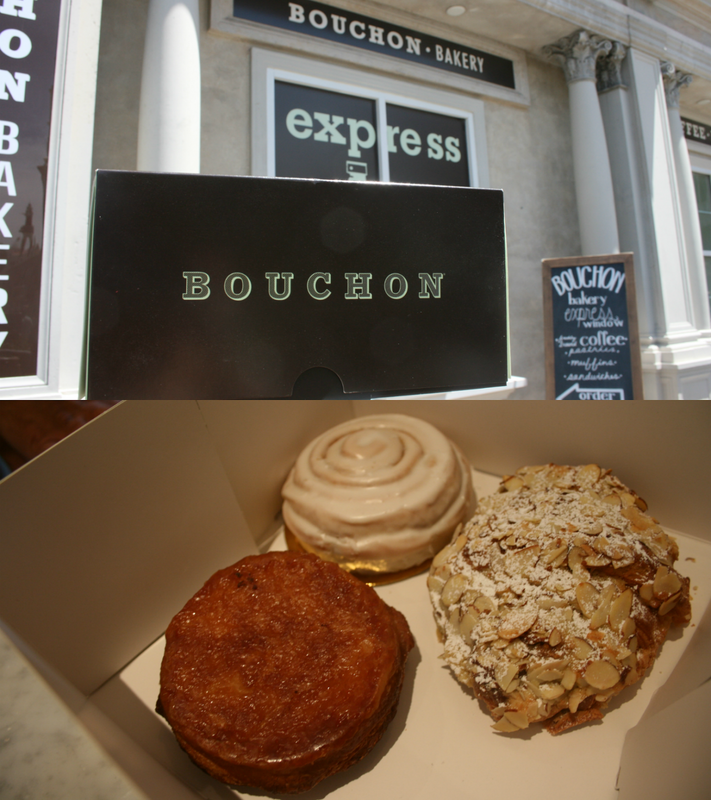 With so many food disappointments experienced – it is always time to grab a few pastries from the famous Bouchon Bakery. We had an Almond Crossaint, Cinnamon Bun & I completely forgot what this one was… All were tasty, ranging at about $3.50~4.